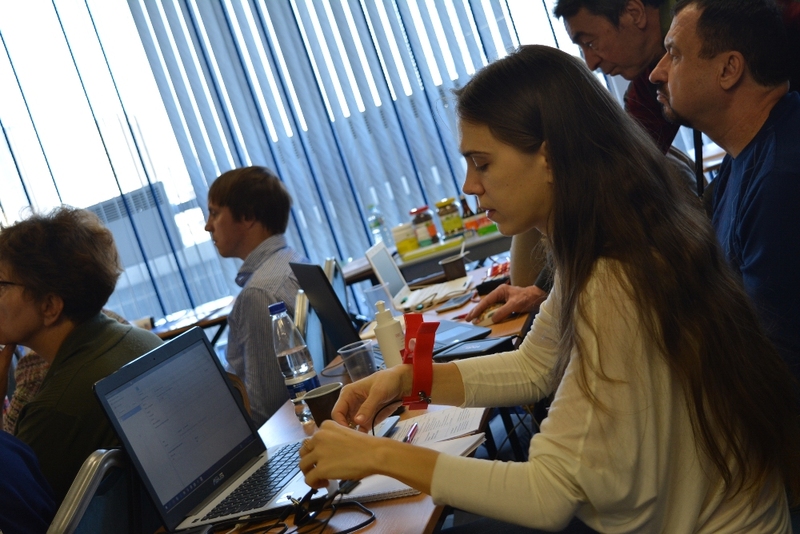 On April 13-15, 2018, all-Russian seminar on pulse analysis "VedaPulse-2018" with participation of experts from Russia, India, Canada, Thailand, Lebanon, Israel, Serbia, Belarus, Kazakhstan and Uzbekistan was held at the Congress center of VEGA Izmailovo hotel in Moscow. 60 specialists of traditional medicine within 3 days studied the basics of pulse reading in the framework of practical training and got acquainted with the clinical protocols of the analysis of health from the perspective of traditional healing systems (Ayurveda and Traditional Chinese medicine). 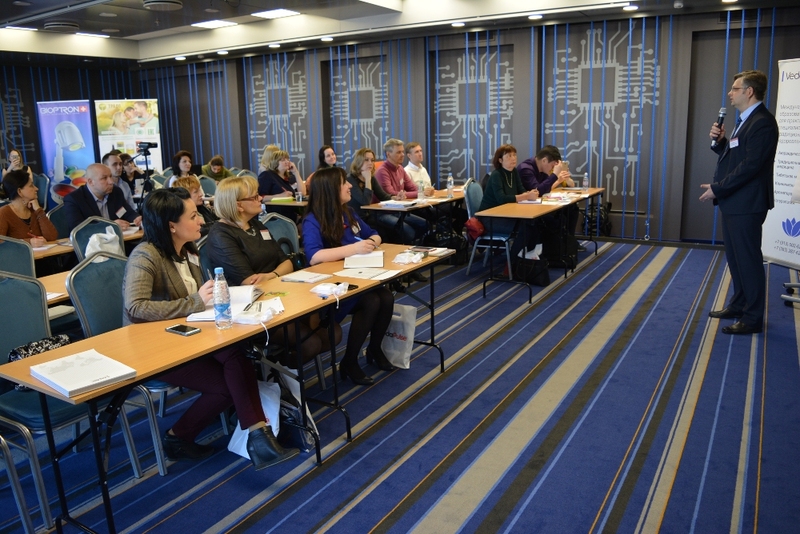 The seminar was divided into three stages according to the complexity of knowledge: Specialist, Professional and Expert. 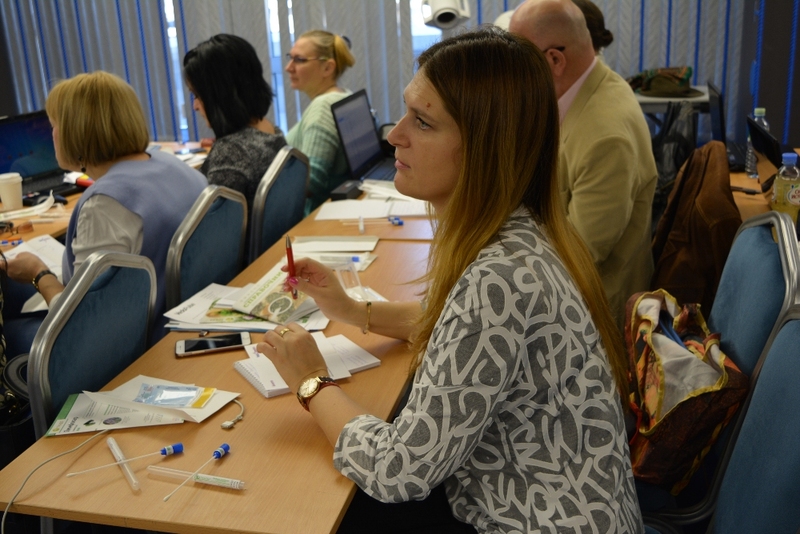 The participants of the first stage called “Specialist” were given the basics of working with the equipment and features of the interpretation of the basic parameters of the VedaPulse device, and also studied how to analyze the status of Subdoshas from the positions of Ayurveda and modern clinical physiotherapy. «I want to express my gratitude. A great deal of work has been done, a tremendous amount of work. At the same time, the material was provided in a very clear and simple way. 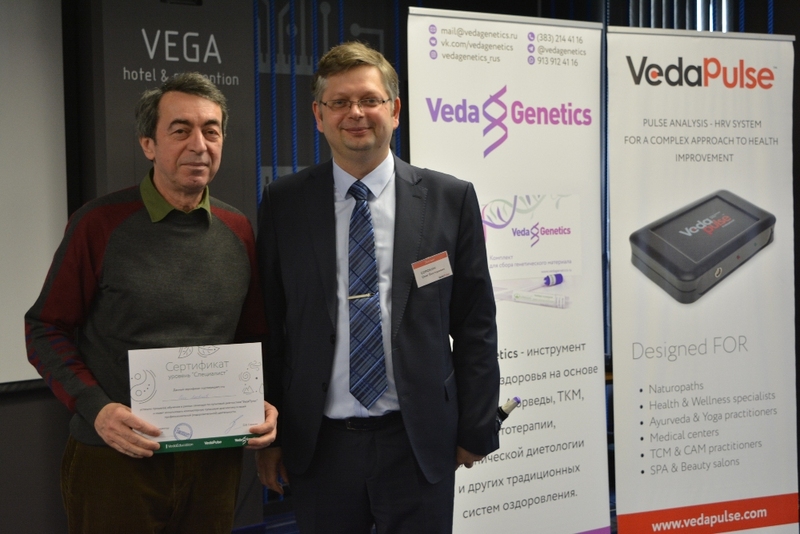 It was the first time I heard about the VedaPulse device, many thanks to the creator of this device Oleg V. Sorokin and the whole team of organizers of the seminar. For me it was very important that there was drawn a parallel with Western medicine and connection with physiology. It gives faith and a deep understanding of the processes mentioned here". 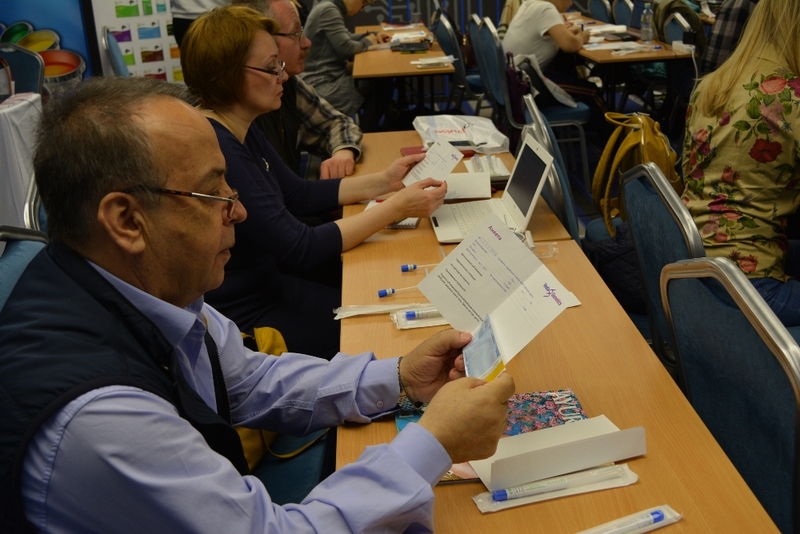 The second “Professional” section included practice on palpatory pulse reading, research on the syndrome as the basis for professional health analysis carried out with the help of the VedaPulse device. In addition, the legal aspects of work of a traditional medicine specialist in Russia were discussed in detail. «I would like to thank the whole team who organized the seminar, because the work that you have done, it is invisible but very important for us. Even then, when I did not know about Vedapulse, I thought about the possibility of structuring and automating knowledge, and then it seemed to me that this is generally impossible. It is much more than I could have imagined what Oleg Sorokin did! Thank you very much for the seminar! Some time before I was a teacher myself so I can imagine what it means to recite from nine to six and at the same time to give the audience the amount of energy that huge that it can keep one up all night". 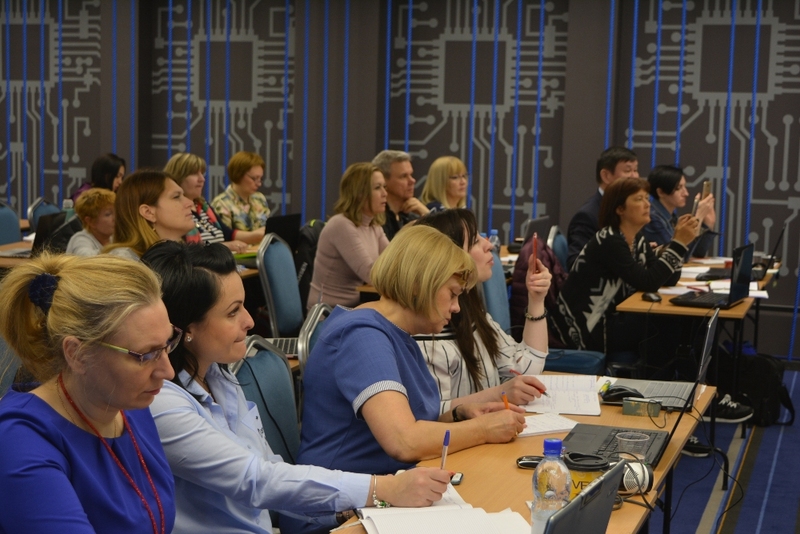 The most important was the “Expert” day, which was devoted to the interpretation of the results of the assessment by VedaPulse in terms of coupled analysis of the constitutional features of the clients and various expert modules. 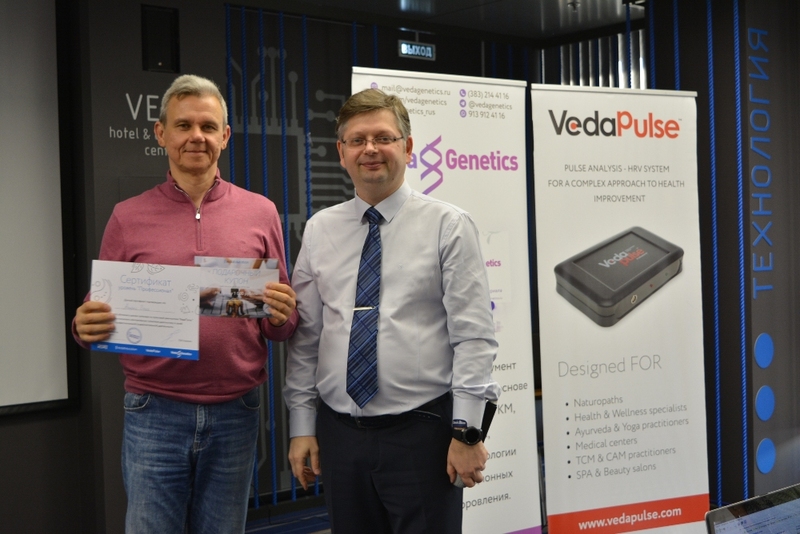 Executive Director of the National Ayurvedic Medical Association of Russia, founder of the Biokvant company, PhD, author of the VedaPulse technology Dr. Oleg Sorokin presented the verification criteria and genetic markers of constitutional syndromes, which aroused keen interest in participants, as clinical examples are the unique experience for any practitioner, allowing to apply the right type of therapy. «I got here on a whim. I have never been working with this before, but everything that happens is for a reason. There are no coincidences. There are no come-and-go people here. I want to say that what you're doing is a big deal. You are walking ahead of the whole planet, on a step, on a kilometer, but ahead of everyone. This can be seen with the naked eye. It's nice to be in your company. You have a great team and great leaders». The representative from the AYUSH Ministry (Ayurveda, Yoga and Naturopathy, Unani, Homoeopathy Siddhaand), Professor R. S. Sarashetti with his spouse were the honorary members of the seminar. 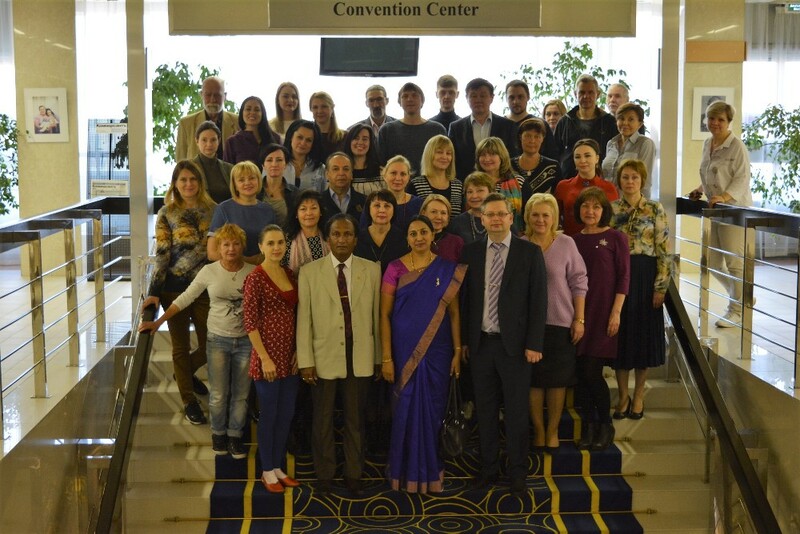 Professor Sarashetti presented the plans of AYUSH on the legalization of Ayurveda in Russia. During the presentation, professor urged the listeners to engage in this work, to formulate proposals for the development of this initiative. 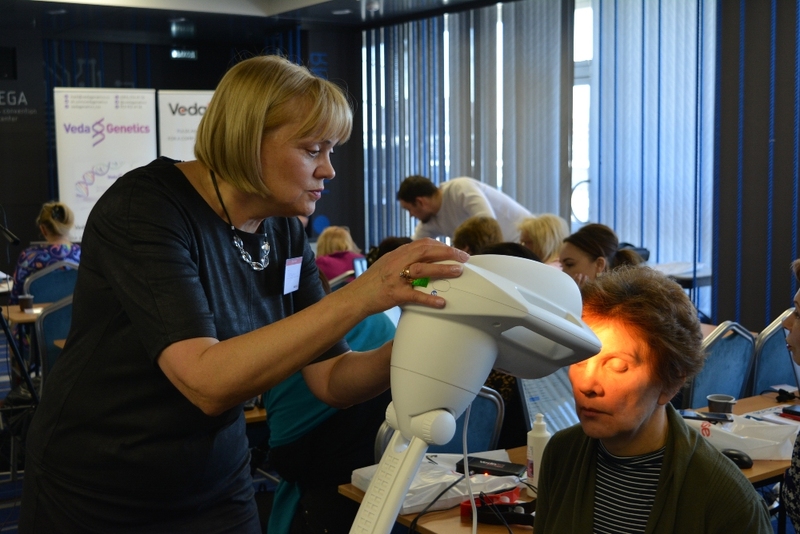 The seminar is a traditional meeting place for beginners and experienced users of the VedaPulse system. Such events help specialists systematize their knowledge on Ayurveda, pulse reading, Traditional Chinese Medicine and herbal therapy, as well as integrate modern methods of genetic analysis and functional assessment of the clients into their practice with VedaPulse technology. 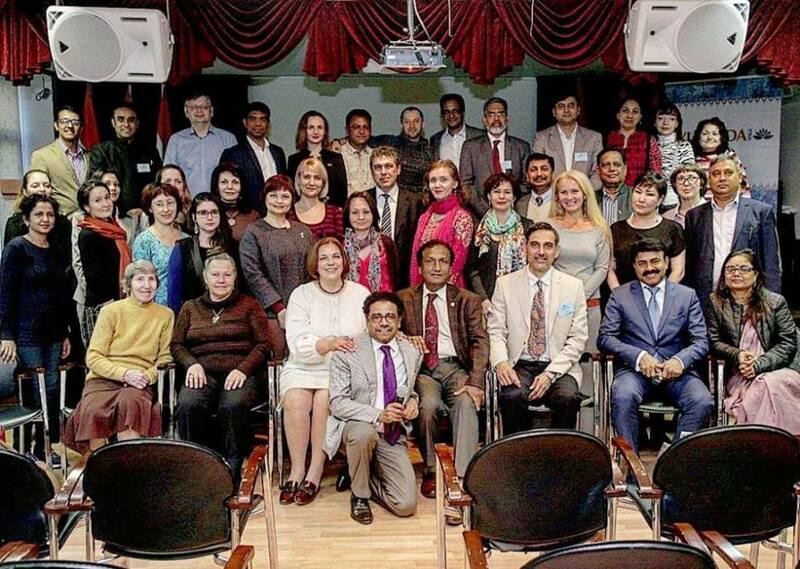 In addition to the seminar, the subject of Ayurveda development in Russia was raised at the Embassy of India in Russia, where Dr. Sorokin met with representatives of Ayurvedic colleges, Ayurvedic clinics, pharmaceutical companies and research institutes. During the meeting, the important role of Ayurvedic Associations in addressing the issue of legalization of Ayurveda in our country was noted. 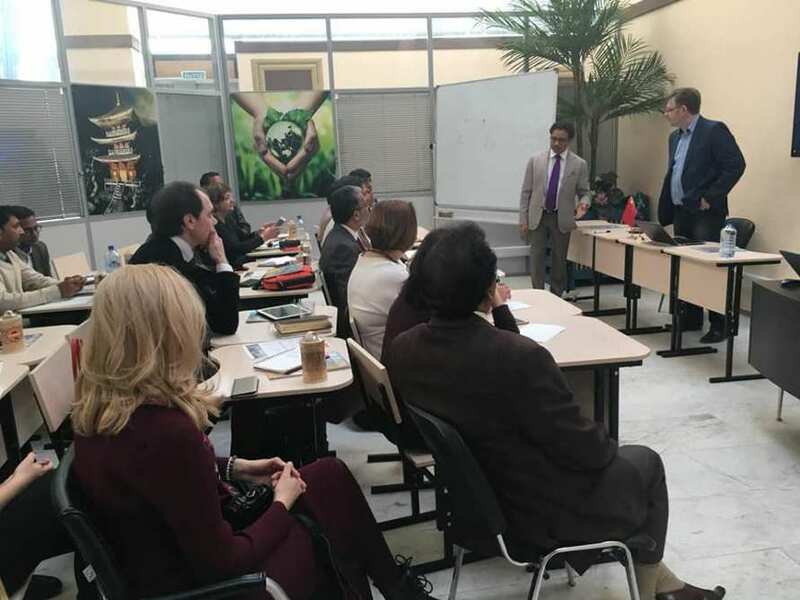 Dr.Sorokin also presented a speech at the Institute of Oriental Medicine of RUDN in front of the Indian delegation representing the Ayurvedic academic community on the role of the National Ayurvedic Medical Association in the development of Ayurveda in Russia. On top of that, the office “Ayurveda & Yoga Magazine” welcomed a group of people from different fields, where Dr. Sorokin, Professor Sarashetti (Revanasiddappa Sarashetti) (PhD, MD. 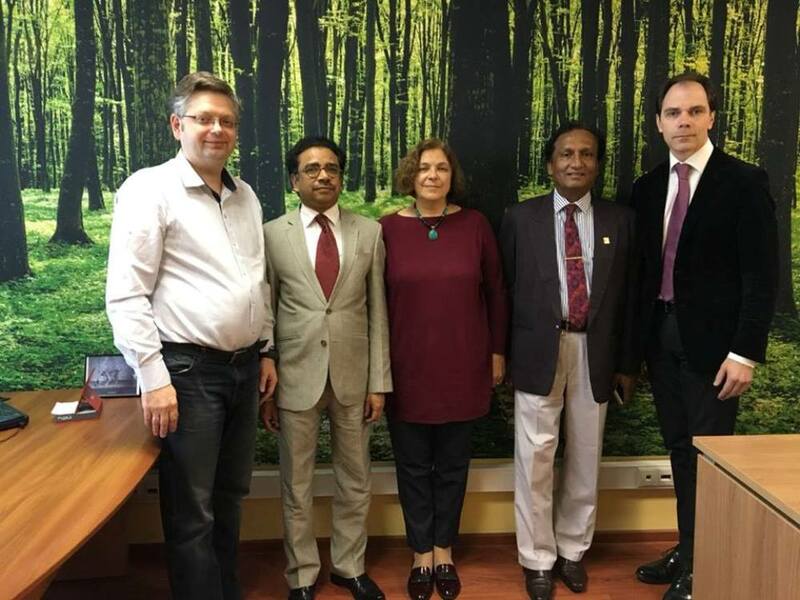 BAMS, Professor, AYUSH Chairman), Devtan Nair (Nair Devadathan) (a publisher of “Ayurveda&Yoga Magazine”), Anita Carillo-Arkas (president of Ayurveda Russian-Indian Association of ARIA-Ayurveda, member of the coordinating Council at the TM Ministry of health of the Russian Federation), Stanislav Larin (head of the project "All Ayurveda", the founder of the first Ayurvedic online store in Russia) were discussing important questions concerning promotion and development of Ayurvedic science in Russia. Following the results of the meeting, a working group of the expert Council on the legalization of Ayurveda in Russia was formed. 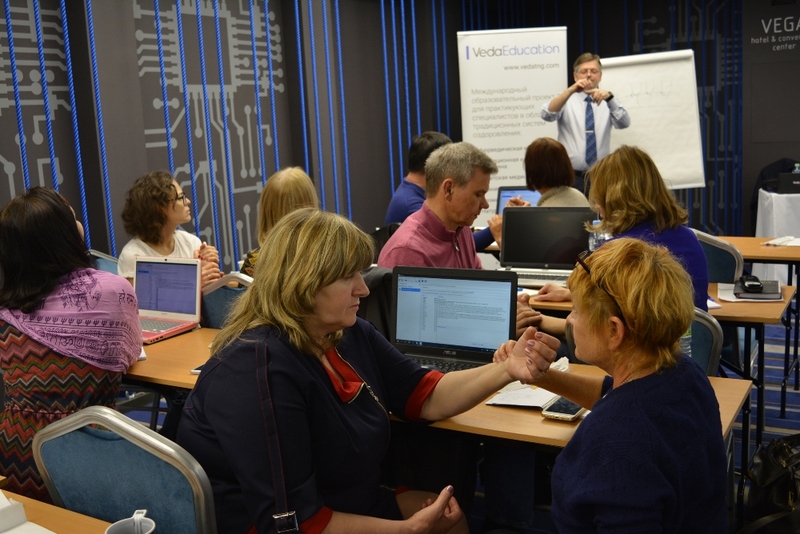 Annually our partners from different countries organize educational seminars, where we lecture for VedaPulse users and all those who are interested in our technology. Follow our news, keep in touch!